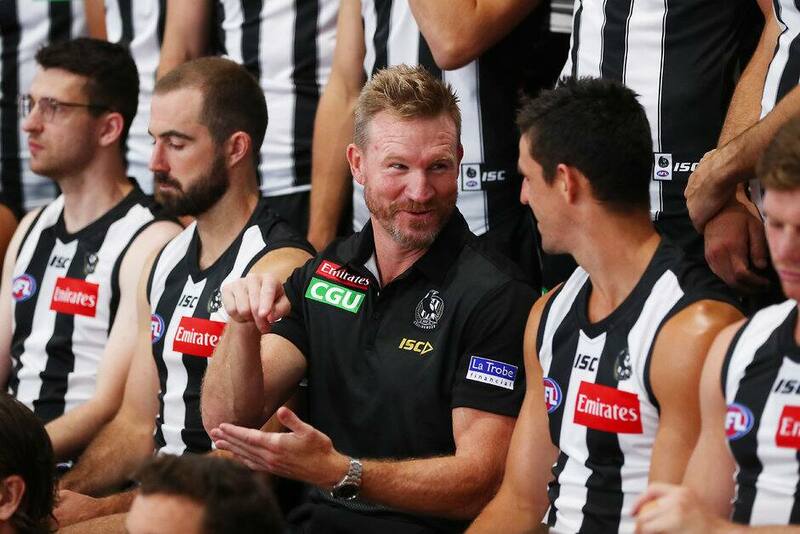 Nathan Buckley has declared he's prepared to drop a big-name midfielder should performances not warrant a berth in a jam-packed Collingwood line-up this season. Having added All Australian Dayne Beams to the competition's deepest onball brigade during the off-season, the Magpies' options will be the envy of opposition sides in 2019. And as he prepares to add different dimensions to his star stable of midfielders, Buckley believes he won't know his ideal set-up until early in the season. "We will continue to present a balanced side that can play its best football together," Buckley told AFL.com.au. "It might mean that one of the names doesn't play or that you rotate them through a little bit more, that’s the reality and we'll never be putting the individual above the best team footy. "We need to explore exactly where we put our bodies at different times. "We're going to know more about that when we get into the season and get the information to how it feeds into our best footy." Flush with an embarrassment of riches, Buckley flagged an expanded role for skipper Scott Pendlebury, who has previously spent short stints at half-back. "All of the midfielders these days need to have another spot on the ground they can go to, not just to fill a gap, but to have influence and bring value," Buckley said. "That's the challenge to the guys who want midfield time for us, that when they go to different roles, they're actually adding value above the guys that would be in those roles if they were there. "Pendles is an inside player, but he's also a very smart player, so he could be on the fringe in front (of the ball), behind or even on the wing. "Steele (Sidebottom) will find himself in different positions." While Beams will be a welcome addition, Daniel Wells shapes as a new recruit, and a player Buckley revealed could become a 'cream on the top' player after just four games last season. Wells is expected to spend increased time in attack alongside Jordan De Goey, who Buckley hinted would enjoy a similar forward-midfield split this year to his breakout 2018 campaign. Both will be contending for midfield minutes with Pendlebury, Sidebottom, Adam Treloar, Taylor Adams, Levi Greenwood, Travis Varcoe and Brayden Sier – all members of last year's Grand Final side. While Sidebottom and Treloar may spend more time on wings with Tom Phillips and Chris Mayne, Buckley has high hopes for Sier in 2019. "He's one that has played inside (midfield) and needs to add another string to his bow," Buckley said. "He spent some time forward and we need to continue to give him that exposure to develop. "But having said that, if he's the best inside midfielder for us, he plays, regardless of what else is around him. "His body shape is chalk and cheese from where he was 18 months ago. "It's a credit to the work he's done and he's putting himself in a position where he can really launch and find out what sort of footballer he can be." Sier, who ranked sixth for centre clearances last year, will be key to the Pies' improvement with a strong emphasis on centre bounces this pre-season. With Darcy Moore flying on the track at centre half-back in his return from hamstring woes, another positional change has Tyson Goldsack switching to attack this season. The Pies' pre-season ramps up with a scratch match against Melbourne on February 22, before JLT Community Series fixtures with Fremantle (March 4) and Carlton (March 11).